You'll find HDR in the best sets under $500, but supporting HDR and being able to read the HDR data that's encoded in a video isn't the same as being able to fully reproduce an HDR picture. The best sets under $1,000 are capable of taking full advantage of the data for enhanced picture quality. Also, there are currently two standards of HDR being used: HDR10, which all sets with HDR support, and Dolby Vision. Dolby Vision is considered to be a superior version of HDR because it can dynamically change the color and brightness as often as frame by frame, versus HDR10, which does it once at the beginning. While support for Dolby Vision is growing, the vast majority of HDR content is HDR10 or both HDR10 and Dolby Vision. When compared to premium models, the most noticeable difference in TVs under $1,000 is the off-axis viewing angle, with colors and blacks starting to look washed out when you're sitting between 20 to 45 degrees off center. 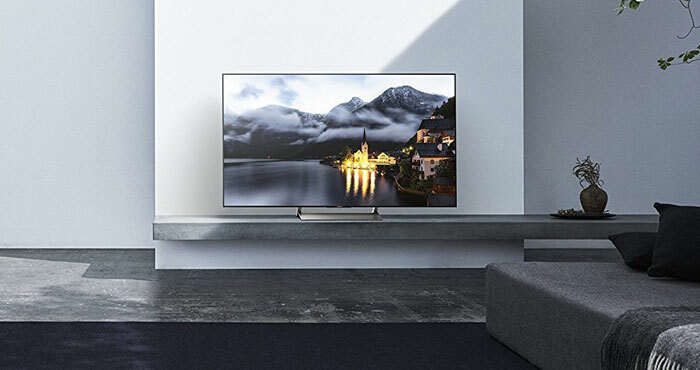 All LED TVs require a backlight, whether they're edge-lit or full-array backlit, which means picture quality will always suffer some as you sit off center. 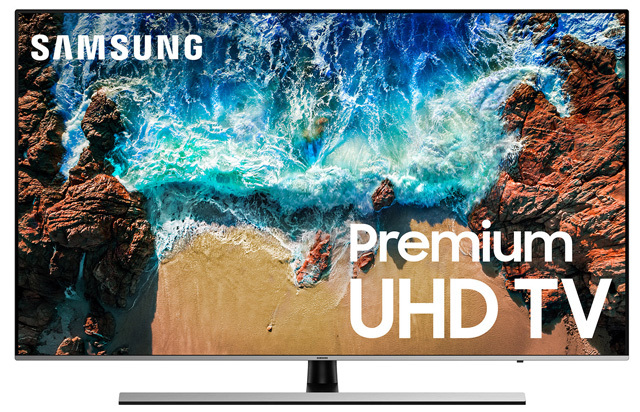 But the premium LED TV sets with advanced quantum dot film technology, which enhances color reproduction and brightness, look better off center. And OLED sets, which are self-emissive and so don't require a backlight, have the best viewing angles but can't be found under $1,000. Our pick for the best value OLED TV would be the 55-inch LG B6 ($1,499.99, check price on Amazon). 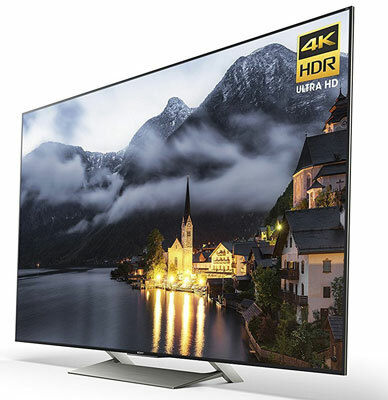 The 55-inch Sony XBR-55-X900E 4K TV has the best image quality in this mid-range class of TVs, thanks, in part, to the fact that it has full-array local dimming, which enables different areas of the screen to dim independently (Sony doesn't disclose the number of zones). Full-array local dimming is especially noticeable when it comes to HDR content (the X900E supports HDR10). Consumer Reports says the X900E's HDR reproduction is "just short of the best we've seen." And review site RTINGS.COM calls it "a great 4K TV that offers some of the best picture quality found in an LED TV" and gives the X900E high marks for color reproduction and brightness. The X900E has a native 100Hz panel (960Hz Motionflow refresh rate), which rates as "very good" (Consumer Reports) to "excellent" (RTINGS.COM) job of reducing motion blur. For smarts, the X900E uses Android TV as its interface and supports Google Assistant for voice commands. 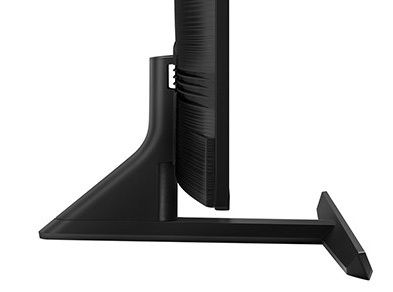 And when it comes to design, Sony has an attractively thin bezel, but a typically thick profile and a sturdy base that does a good job of hiding cords in tracks built into the base's rear legs. The 55-inch TCL 55R617 is a real bargain considering you're getting nearly the same picture quality as the other two models on our list for $250-$350 less. CNET calls the image quality "excellent" with "deep black levels, rich contrast and accurate color." Like the Sony X900E, the TCL R617 has a full-array panel with local dimming (96 zones) for deep blacks (though RTINGS.COM cites problems with uniformity), enhanced contrast and a wide color gamut. It's a 60Hz native (120Hz Clear Motion) panel, which is slower than the others in our group, but the TV still manages to minimize motion blur (RTINGS.COM calls it "good"). It's also one of the most aesthetically appealing of the under $1,000 options. The bulk of the TV's electronics are housed in a tiny black box that can be easily hidden away, with the remaining two cords (power and video) discreetly hidden in a channel in the TV's base. 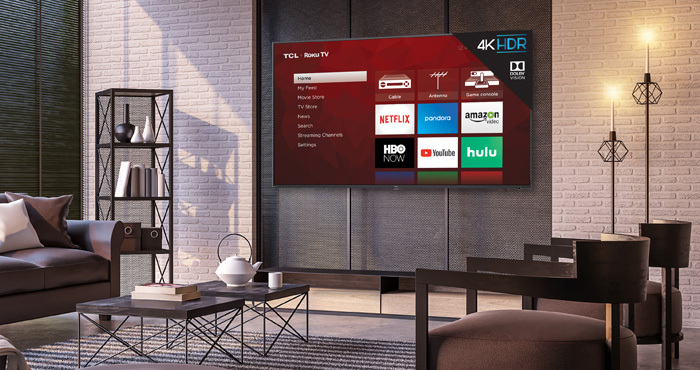 Unlike the Sony X900E, which uses Android TV and Google Assistant, and the TCL R617, which uses Roku, the Samsung NU8000 uses its own proprietary software that supports voice commands. RTINGS.COM finds "Bixby's voice recognition works very well, and it can perform many useful actions on the TV." Consumer Reports rates the NU8000 picture quality as "excellent" and RTINGS.COM as "great," with both citing high contrast and deep blacks. However, RTINGS.COM notes that due to its edge-lit panel, the MU8000 doesn't deliver as high contrast or as wide a range of colors as good as the Sony X900E. The Samsung MU8000 has little motion blur, with its native 120Hz (Motion Rate 240Hz), which makes it a great option of sports enthusiasts and the lowest lag time of the group, which makes an excellent choice for gamers.